And here we go… Apple just announced the white iPhone 4 release will be delayed until later this year (2010). However, no specific date has been given as to exactly when the release will occur. It was less than 24 hours ago that I was writing about how the white iPhone 4 release date would be next week – wow! 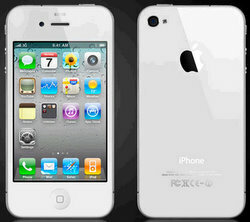 The much anticipated white iPhone 4 is quickly becoming the most “demanded” iPhone in the Apple lineup of iPhone devices. However, manufacturing and production problems of the white iPhone 4 casing are causing the on going delay of the white iPhone 4 coming to market – not to mention the supply side problems that Apple is having with both the new iPhone 4 and the iPad.